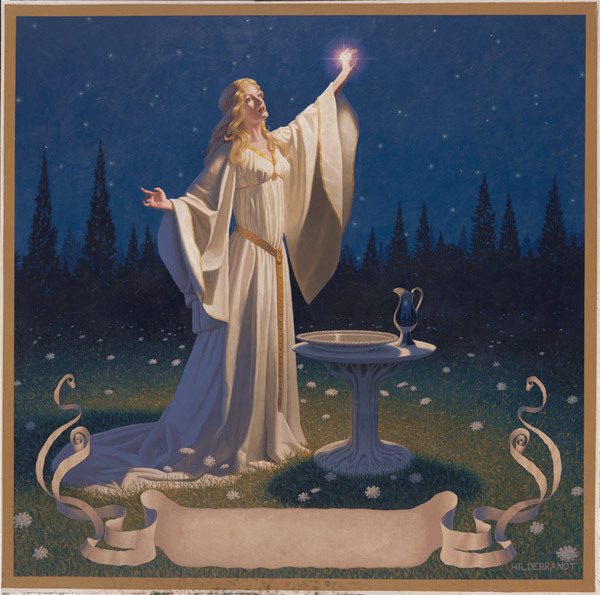 Tolkien Calendar 1976 Ring of Galadriel. For the first time since this painting was sold in 1986, we are offering it for sale on our gallery! This painting is for sale on consignment from the owner.